I have left the card making aside for a little while and been trying out mixed media and art journaling, even doing ATC`s. I tried in 2013 to make a book from scratch and it was super fun! 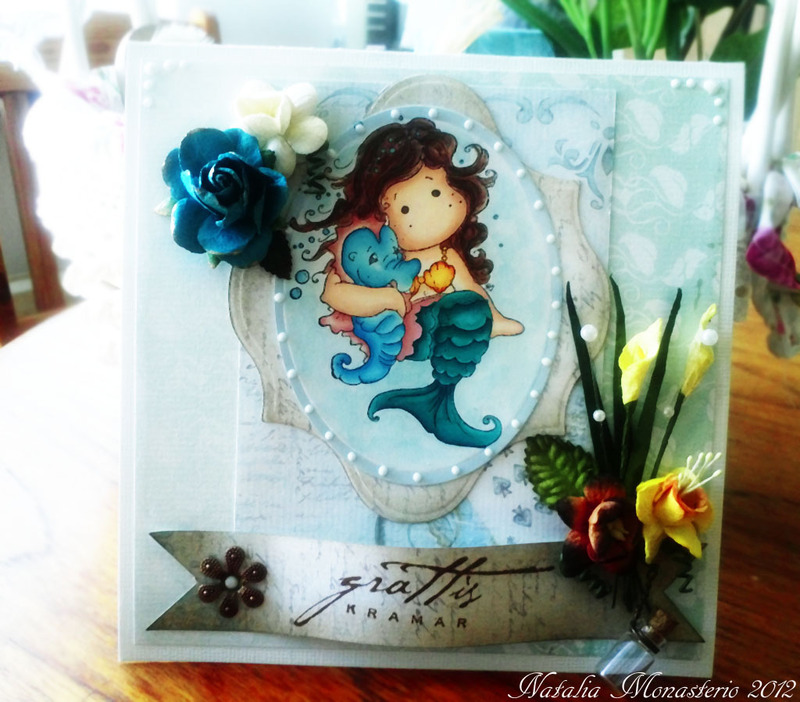 After many youtube-videos I came across with Mixed media and heard about Lindy`s Stamp Gang sprays. Fell inlove with all the colours they have and they are amazing to work with. The Starburst sprays have shimmer and the Flat Fabios have no shimmer and you can combine this two and get beautiful colour mix. 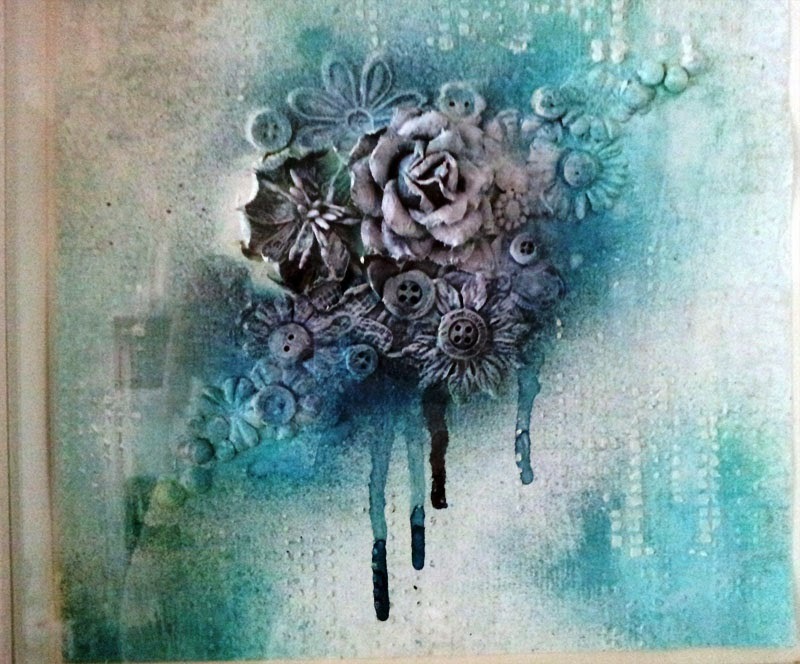 Here I used Starburst sprays in blue and Flat Fabio Toto´s Tornado black. 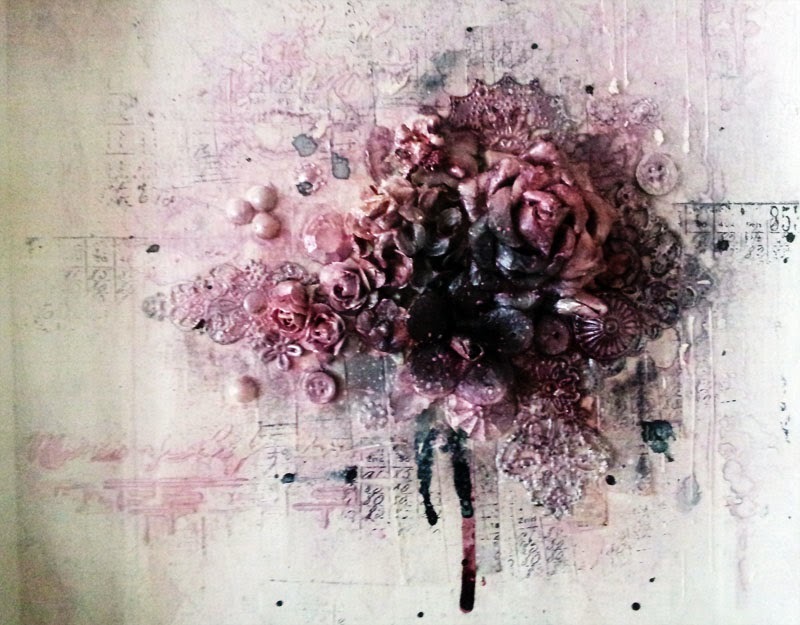 I added some white acrylic paint ( works fine with gesso) and with a dry paintbrush just add a little acrylic paint you get a beautiful texture on the flowers ect. Been gone for a while from here, it`s been a hectic 2013. I recently became a mother of a little boy :). Here I did a Mini book, I used the perfect binding method. It has 30 pages and it`s only 4x4 cm small. I covered the book with fabric and distressed the edges with Walnut Distress Pad. 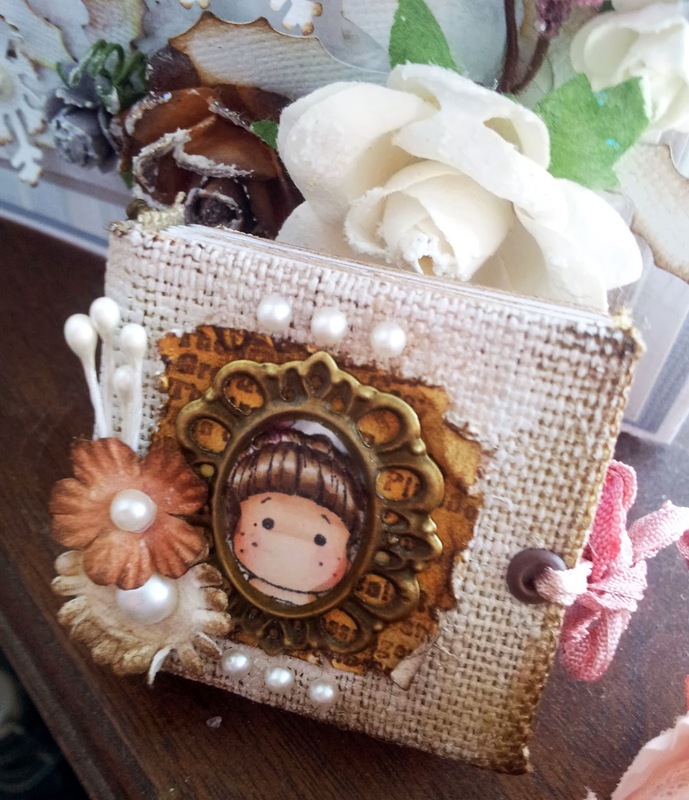 I used a mini Tilda and stamped only her face and coloured her with Copics, after that I used a vintage frame and the stamped Tilda and added resin. I made this card for my mothers birthday. The stamps are from Magnolia , I love her stamps so much. I used promarkers on Tilda Mermaid and background I used Distress inkers. I added some flowers and leafs and used liquid pearls around her. The border I inked with a distress pad (walnut stain) using inkessentiels blending tool. After I stamped Grattis kramar from Inkido. Wanted to make it simple and not add so many decos and flowers. 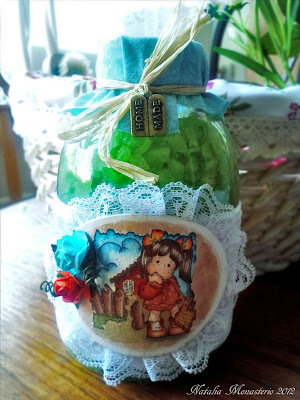 And here I decorated a little bottle with spa- salt in it. Here I used mini Tilda stamp and masked a mini background from Magnolia. This is also done with promarkers. This was last year, so this pictures are little old.